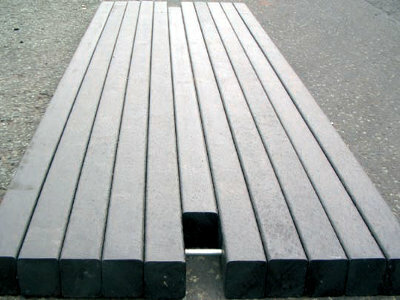 Bog Mat is manufactured from 100% recycled HDPE. 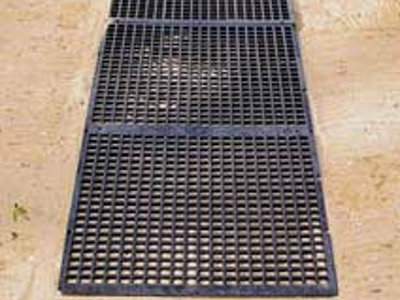 It is designed for the creation of new ground conditions in areas where otherwise it would be unsuitable to work. 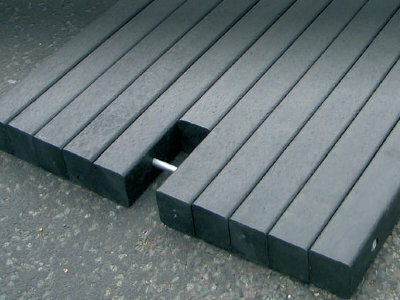 They are ideal for heavy plant machinery in boggy conditions, allowing access for vehicles and machinery in difficult terrain and can be used for static machinery such as cranes. 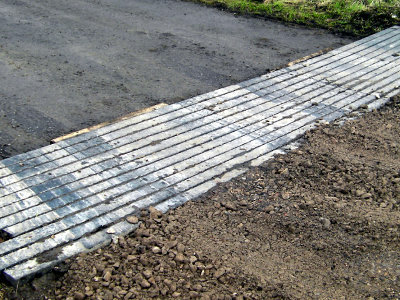 Working with Murphy Pipelines Ltd, National Grid has trialled Bog Mat for the last year on a large gas transmission pipeline construction Project. Murphy Pipelines Ltd, National Grid trialling Bog Mats with Heavy Machinery in very heavy conditions. 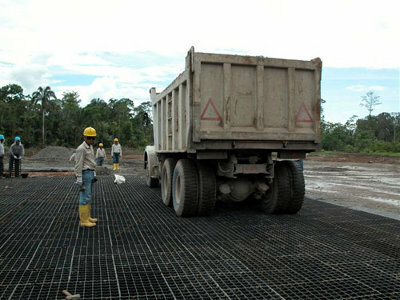 Bog Mats being used to soften the meeting of tar and gravel road in the entrance to the site. Murphy Pipelines Ltd, National Grid. Yes, there are Bog Mats under there, and without them the job would not have been completed.